rack in the upper third of the oven. the batter to set and the flavors to meld. begins to sizzle, about 2-3 minutes. golden brown, about 18-20 minutes. Serve immediately. Best hot or warm. 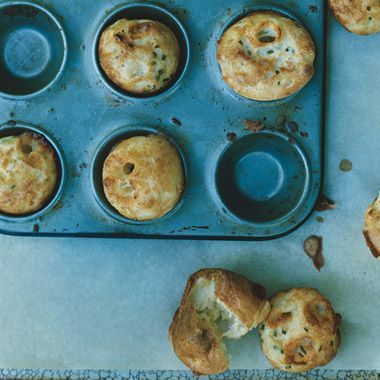 way, she called them “cheese puffs” when they are really popovers. Again in the dark!